150 assorted nails with the most popular sizes included, suitable for home and garden use. From the Gardman Tools & Accessories range, a handy pack containing a mix of the most popular wire nail sizes. Ideal for the home and garden DIY / handyperson. 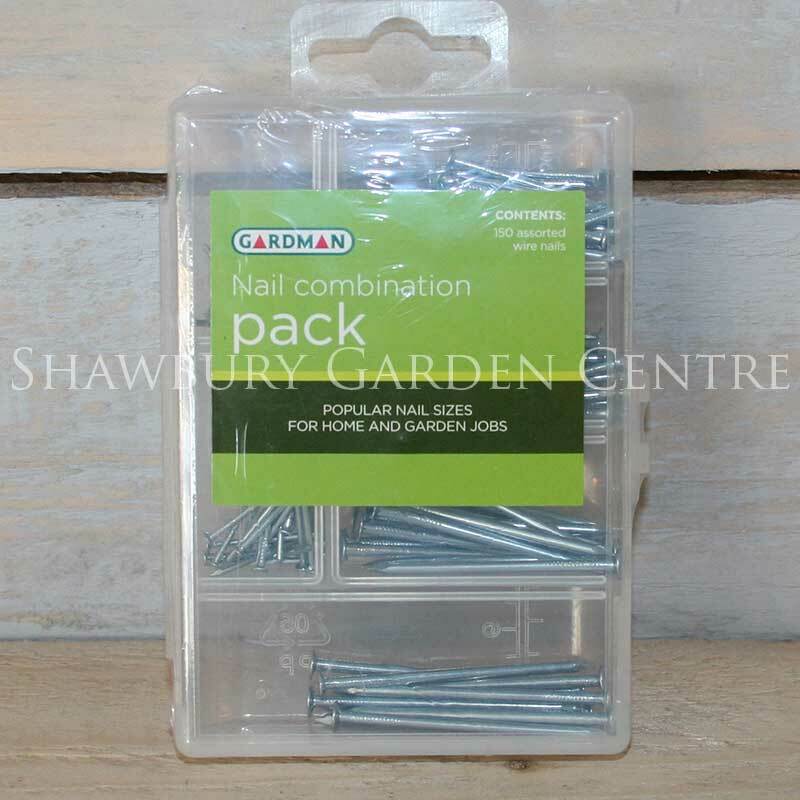 If you would like further information about Gardman Nail Combination Pack, please contact our garden centre at Shawbury just outside Shrewsbury in Shropshire, by calling 01939 251315 or emailing.